1995年度最佳乐队：Leftfield 这几乎是横空出世的。Neil Barnes和Paul Daley这两个前朋克乐手，在acid house时期相逢。他们的首支单曲“Not Forgatten”（永志不忘）是俱乐部里的传奇。“Song Of Life”（生命之歌）也不差。１９９３年John Lydon演唱了一首Leftfield的“Open Up”（开窍），使这个朋克老小孩也喜欢上了舞厅里的４／４节奏。然后，他们就消失了。几乎所有人都以为这又是昙花一现的乐队。但《Leftism》（左派）最终在１９９５年年初出现了。事情马上明了了，先前的众说纷纭都是不负责任的臆测。这是张地地道道的舞曲唱片，它证明了舞曲音乐已经从一种文化现象升格为羽翼已丰的艺术形式。Orbital在这方面也做了不少努力，打破了舞曲音乐的模式框框，并　表现了他们的延展性。这张无时间概念的作品代表的不仅仅是俱乐部文化。它有曲调、旋律、情感和情绪，并且很好地传递了舞曲音乐的精髓并且在某方面与Britpop遥相呼应。锐舞者和另类小子之间的隔阂彻底取消，门户观念也消除了。Leftfield意味着什么？不是别的，它意味着纯粹对音乐的热爱，不是时尚，不是一时的心血来潮。它 横跨了所有的流行文化：从感官刺激的朋克、实验的reggae到出节奏的house音乐。这是一起新鲜且自命不凡的个案，吸引了全宇宙的喝彩与奉承。真诚、痉挛、情感的冲撞构成了《Leftism》最基本的力量所在。《Leftlism》的成功奠定了Underworld和The Chemical Brothers的成功。舞曲音乐已经蔚然成风，没什么会象Leftfield那样改变历史了。by Jason AnkenyThe production team which brought house music back from the brink of commercial mediocrity, Leftfield made it safe for artistic producers to begin working in a new vein termed progressive house. Paul Daley (a former member of A Man Called Adam and the Brand New Heavies) and programmer Neil Barnes combined the classic soul of early Chicago and New York house with the growing Artificial Intelligence school of album-oriented techno to create classic, intelligent dance music. 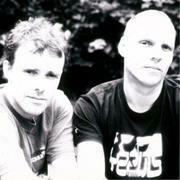 When legal hassles over ownership of the Leftfield name prevented the pair from recording their own music after the release of their debut Not Forgotten, they turned to remixing, establishing their early reputation for reworking tracks by artists ranging from Stereo MCs and David Bowie to Yothu Yindhi and Renegade Soundwave. Finally, with their courtroom battles successfully behind them, they formed their own Hard Hands label in late 1992 and issued the single Release the Pressure, featuring reggae vocalist Earl Sixteen; Song of Life followed, and in 1993 Leftfield scored their first major hit with Open Up, recorded with John Lydon. Their debut LP Leftism was released in 1995; the long-awaited Rhythm and Stealth followed four years later. With only two albums under their belt, Leftfield decided to split in early 2002 to focus on solo projects.